What started as a routine response to a medical emergency, turned into a heart warming moment for the crew members of an ambulance and a new mother. 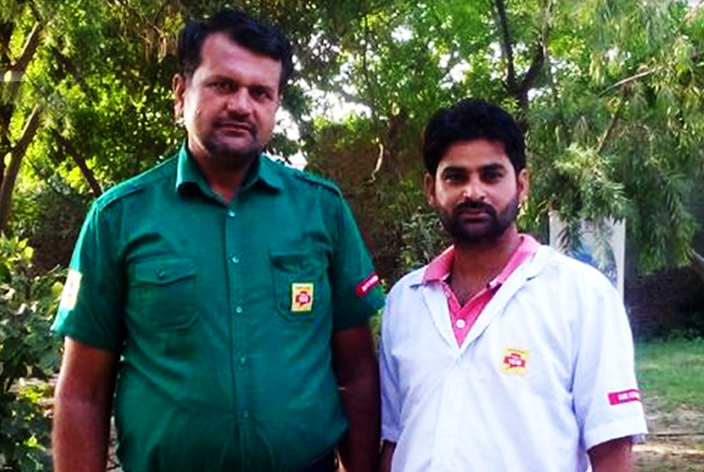 When Neha Rani from handi in Ferozepur went into labour, she called 108 for an ambulance which administered first aid while transporting her to the nearest hospital. While en route, she went further experienced severe labour pain and her condition became critical. The ambulance staff realised there was no time left and they had to deliver her baby at that very moment. Efficiently and safely, the crew delivered the baby and along with the mother was shifted to the nearest civil hospital for further treatment. For handling the case with sensitivity and ensuring safety of both mother and child, the family members and hospital staff were very impressed with the services of the ambulance. These cases, where we get to make a difference in people’s lives and save them every day, inspire us to keep going and this is the main goal of our ambulance services.